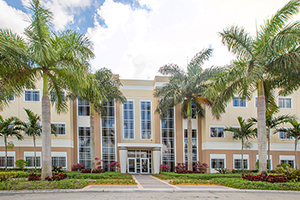 Miami, Florida—April 28, 2015—The University of St. Augustine for Health Sciences plans to bring its Doctor of Physical Therapy program to Miami in fall 2015, pending accreditation and other regulatory approvals. The university, which has been a part of north Florida for more than 20 years, will open its new campus near the Dolphin Mall. The university is now accepting applications for admission at www.usa.edu/miami. There is a strong demand for physical therapists, a profession ranked No. 6 on the list of “best jobs” by U.S. News & World Report. In fact, the need for physical therapists consistently outpaces the number of clinicians, even with new graduates entering the profession. There is also strong demand for more cultural diversity in the profession. According to the American Physical Therapy Association’s projections, when the University of St. Augustine’s inaugural Miami class would graduate in 2018, the demand for physical therapists in the United States will exceed the supply by 21,000. Job growth is also expected to be strong in Miami-Dade and Monroe counties: 18.9% combined between 2014 and 2022 according to the Florida Department of Economic Opportunity. The physical therapy profession and the U.S. healthcare system need providers from a wide range of ethnic and cultural backgrounds to serve the needs of a diverse patient population. “With a campus in Miami, we aim to improve access to physical therapy education and increase cultural diversity, which benefits the profession and the patients it serves,” said Dr. Wanda Nitsch, president and chief academic officer of the University of St. Augustine. The university plans to offer its entry-level Doctor of Physical Therapy program starting in September of 2015. The University of St. Augustine’s program offers a focus on clinical excellence, internship opportunities in most states and in several countries, and a trimester system that gives students the opportunity to complete the program in less than two and a half years. The Doctor of Physical Therapy program in Miami will be led by Dr. Mark Horacek, who has more than 28 years of experience as a teacher, researcher, mentor, and administrator, as well as clinical experience. He helped start the Doctor of Physical Therapy program at Creighton University, and he started the physical therapy programs at Missouri State and the University of Saint Mary. Most recently, Dr. Horacek was a tenured professor, department chair, and program director at the University of St. Mary in Kansas. Dr. Horacek earned his bachelor’s, master’s and PhD degrees at the University of Nebraska Medical Center, and he completed a post-doctoral fellowship at the University of South Carolina School of Medicine. The university is regionally accredited by the WASC Senior College and University Commission and is nationally accredited by the Distance Education and Accrediting Commission, both of which have approved the Miami campus. The campus has received provisional licensure from the Florida Commission for Independent Education and is seeking approval from the Commission on Accreditation in Physical Therapy Education (CAPTE); the class start will be finalized once CAPTE has approved.